The recycling station built in 2009 in the village of Niubasaga on Moturiki was destroyed in 2010 by cyclone Mick. 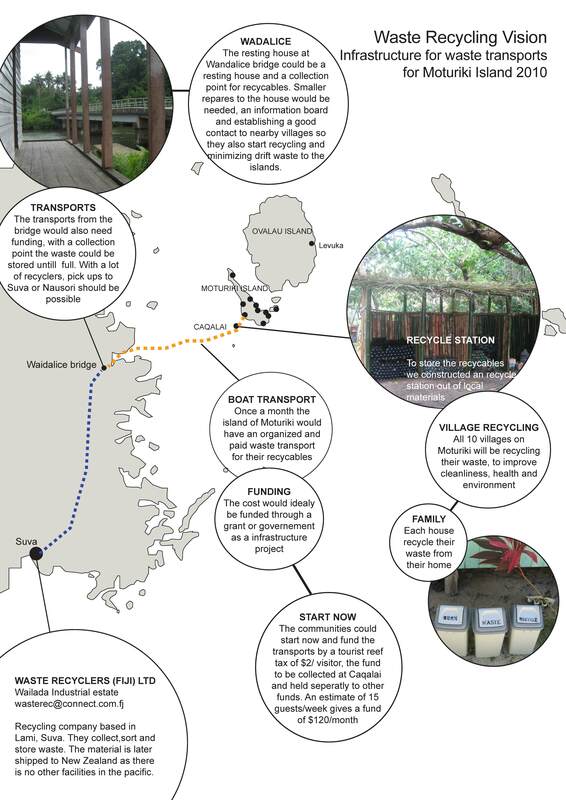 As a result, a new recycling station was designed and proposed for a more central location in the village. AES also suggested that Moturiki Environmental Committee push for improved infrastructure to deal with the growing solid waste problem for all nearby islands. 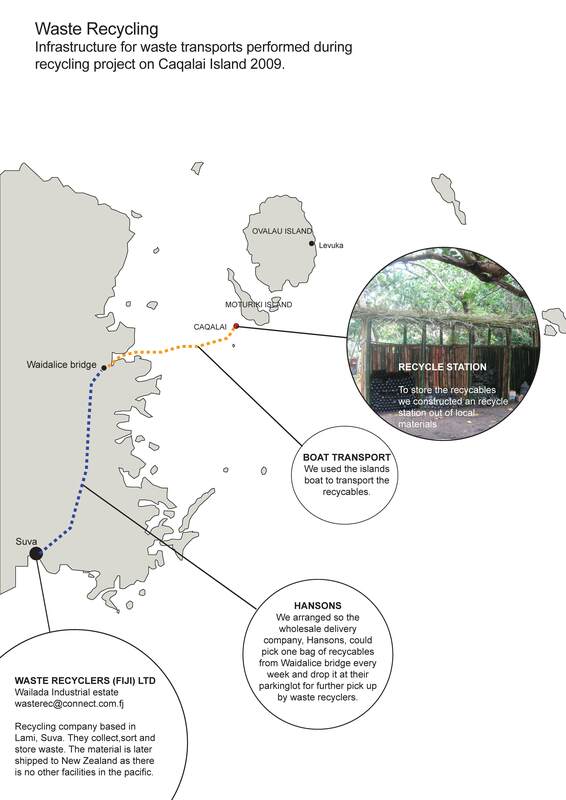 A proposal to collect a reef tax from visitors to Caqalai Island Resort was made to the new management (the management changed in early 2010) of the resort; the tax would help cover waste transport costs for all villages on the island of Moturiki.